I admit, I didn’t want to share this. You know and I know that money is abundant, right? I mean, we’ve both read the books and watched the movies. “Scarcity is a state of mind”… “The world is an abundant place”… and all that. We all know, deep down, that there’s more than enough to go around. Still, there’s this natural human instinct to keep certain things secret. Especially when they’re this explosive. The difference is that while most live with nose to grindstone… these millionaires work very little. While most eat processed yet affordable foods… these millionaires eat delicious meals that keep them young and healthy. While most are never more than one step ahead of the bill collector… these millionaires laugh at money worries. 1.) True wealth is NOT what you think it is. And it isn’t the feel-good clichés that gurus try to sell you, either. It isn’t happiness or love. It isn’t everlasting joy. In the mind of the millionaire, love and diamonds and happiness are all fruits. But the root is something else. 2.) Effort and money are two separate things. 24 hours. That’s all any of us get. Why is it, then, that some amass fortunes while others tread water? Think about it. There’s a hard limit to the amount of effort any person can exert. So effort can’t be the answer. These millionaires draw a firm line between effort and money. They don’t believe that labor is the path to wealth. They walk a different road. While the world is chasing things, the wealthy are moving in a different direction. Instead of hopping on the hamster wheel, expecting it to lead to wealth, millionaires reposition themselves so that rewards flow to them. Mind you, this isn’t a physical repositioning. They don’t pack and move to a new city. Instead, they reposition their approach to life, which changes their relation to the flow of wealth. Catching fish at the bottom of a river is hard. But when you move upstream it gets much easier. Now you know three foundational wealth beliefs. That’s enough to change your own financial situation, right? Wrong. In fact, most of those that read this page will be at the same exact financial level one year from now. Knowing these beliefs (three amongst dozens) changes nothing. Changing what you think is easy. Changing how you think is hard. And the difference is extremely important. We all change what we think all the time. I mean, how many books have you read or videos have you watched that inspired you? Yet how often does even the most potent material lead to lasting change? Seldom, if ever. There’s a reason for this. Ideas alone have little staying power. For even the most potent idea to have a lasting impact on your life, you require a solid foundation. Otherwise, a river of past habits will wash away those ideas. This “foundation” is your manner of thinking… how you think. But, again, changing what you think is easy. Changing how you think is hard. Millionaires often spend years reshaping their manner of thinking. It’s long, hard, tiring work. 15 years spent doing this kind of “mind work” isn’t uncommon. And they do the work with a smile on their face, because there’s no other way. To grow wealthy you must change how you think. The most fortunate millionaires… those that grow wealthy behind-the-scenes with incredible speed… take a shortcut. They’re able to collapse 15 years of “mind work” into a few months. How? They call on a certain man. And that man’s name is Dr. Steve G. Jones. Dr. Jones earned his master’s degree in cognitive psychology and a doctorate in education. 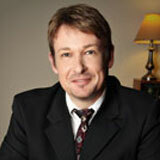 He’s the bestselling author of 25 books on the topic of hypnotherapy, and his work has been featured on NBC and TruTV. He’s also a member of the American Board of Hypnotherapy… president of the American Alliance of Hypnotists… recipient of the President’s Award (AAACE)… and standing member of the National Guild of Hypnotists. Most important to you, he creates millionaires. You see, Dr. Jones is the pioneer of an unusual method. This method is a “hack” that changes how you think in a fraction of the time. Inevitably, this leads to rapid wealth accumulation. Does it work? Well, some of his clients include Danny Bonaduce from The Partridge Family, Tom Mankiewiczv of Superman fame, and Jeraldine Saunders from Love Boat. And Dr. Jones has a personal net worth of over $4 Million. You be the judge. For almost three decades, the only way to gain access to Dr. Jones was via private consultation, at $10,000 a session. But now, for a short time, he’s sharing his methodology with the public. Introducing: The “Cracking The Millionaire Mind” Program. The most controversial wealth-getting system ever published. Know this: If you’ve ever wanted to escape the rat race… to spark a wildfire of wealth in your life… to break the shackles now holding you back… this is the opportunity you’ve been awaiting. How the millionaire-minded think about compensation… and why it makes all the difference. The real reason so many “stall” and never attain a better lifestyle. Discover the dead-simple formula behind every windfall millionaire. This belief is killing your earning potential. Here’s how to get rid of it immediately. The paradox of vulnerability: How to gain strength through your perceived weaknesses. Increase your income immediately by AVOIDING this common, knee-jerk behavior. How lazy millionaires create passive income streams. There’s one specific situation when you shouldn’t listen to anybody… even Dr. Jones. Pay close attention to this section. The secret of the “spiral”, and how to use it to your advantage. Why some make money without effort while others constantly struggle. Do this ONE THING every day and WATCH your finances swell! How to grasp ideas faster and deeper than ever before. Inflame your hidden brilliance… and attract money and opportunity like a moth to the flame. The surefire system for sinking into unlimited possibility. How “emotional temperature” affects wealth attraction and how to control yours. Mental posture: How to “stand” to make wealth inevitable! How working less (much less) can make you much, much more. Even millionaires face challenges. Here’s what they do differently. How to deal with the wave of changes that accompany wealth growth. The two kinds of “fear alarms” and how to use each of them for faster success. How to lock in an income that grows every day — even when you’re sleeping or on vacation with your loved ones. Cultivate startling ways of thinking that lead to windfalls of profit. How to “ping” those around you for hidden passage ways to wealth. Shift into a millionaire mindset with the help of these two items. How to move from a muted feeling of acceptance to a smoldering fire of ambition. How to shortcut your success with a certain kind of relationship. Without making a ______, you will NEVER be wealthy. Do this today — it’s fast, simple and free. How to find the “blind spots” that are keeping you from riches. How to reshape your internal dialog fast. What you must invest for massive growth… and it isn’t money or time! How to snowball your success for rapid wealth accumulation. What to focus on to get immediate gains. How to plant deep roots of confidence into your being. Transcend the LIFESTYLE you think you need and enter the lifestyle you DESIRE. Take an iron-fisted grip on your life… never feel “powerless” again. You’re 100% content with your lifestyle. You see, Cracking The Millionaire Mind is like the wick to a time-bomb. It’s an explosive catalyst. If you’re OK with things as they are, you won’t find any value here. You don’t have an open mind. If you want the same tired ideas about wealth, there are plenty programs for you. But this isn’t one of them. Extraordinary results demand an extraordinary approach. Blind faith is NOT required but you DO need a willingness to entertain uncommon ideas. You aren’t ready for change. I can’t underscore this enough. Cracking The Millionaire Mind isn’t leisurely entertainment for a lazy Sunday, or something you can easily forget. To experience this program is to forever shift your life’s trajectory. The reason Cracking The Millionaire Mind is so controversial — and also so effective — is because it’s the first wealth program to harness real hypnotism. To be clear, this isn’t the hucksterism you find on TV shows or at town fairs. Real hypnosis is a different thing entire. Your mind is your only tool for survival. You don’t have the claws of a tiger or the muscles of a gorilla. Humans live or die based on the ability to think. In particular, the ability to recognize patterns. Pattern recognition is how humans hunt animals, plant crops and build tools. Patterns are how you navigate the world and, as you mature, you come to see everything as a pattern. You don’t expect a car to grow teeth and eat you. Likewise, you don’t expect a lion to let you hop on his back and gallop into the sunset. These ideas go against the pattern that is “car” or “lion”. In time, you lose the ability to see the car as-it-is. You can only see the pattern that represents “car”. You no longer see the lion as-it-is. You see the pattern that represents “lion”. Anything that’s outside of your accepted pattern is blocked out by the subconscious mind. This is why it’s so hard to erase bad habits OR create good habits. Your “self” is a pattern too. Everything you know about yourself, about what’s possible, about your capabilities, blooms from the pattern that you call “I”. Fine. That’s all interesting. But what’s it have to do with Cracking The Millionaire Mind? The answer is this: Real hypnosis, like that used in this program, uses a specific sequence of words to rearrange your accepted patterns. Dr. Jones, and a small number of others, can manipulate the tapestry of patterns that make up “you”… that web of ideas that you call “I”… so as to implant new ideas behind that veil. Right now, this brand of hypnotism is still legal. But it may not be forever. You see, real hypnotism evokes such a life-altering change that there may come a time when it’s classified alongside certain mind-altering drugs. And unlike mind-altering drugs, the effects of this kind of “mind work” don’t fade. There is no “coming down”. Your elevated state becomes your new normal. Cracking The Millionaire Mind unlocks the person you’ve always been but didn’t know how to express. It doesn’t just teach you to be wealthy… it makes you wealthy-minded. 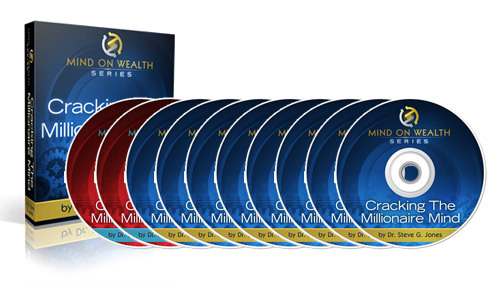 Cracking The Millionaire Mind is split into two sections — a manual and a collection of audio modules. The manual is your blueprint. The audio modules take that blueprint and imprint it onto your mind. Can you imagine how easy this makes it to prosper? Imagine what it feels like when the “right thing” is second nature. You don’t even have to think about it. Never again will you feel uncertain. Your hesitation and self doubt vanish. You already know what you want — now you naturally take the right steps. The ancients said that the process of understanding is like working water into dough… you have to keep kneading it in. That process usually takes long, hard years. Cracking The Millionaire Mind is the proven shortcut. Right now, deep down, you know that you’re capable of so much more. Your true potential is hidden inside. If only you could unshackle that potential… nothing would remain out of your reach. Those that experience Cracking The Millionaire Mind say something similar — this program isn’t about harder work or even smarter work. Instead, it’s a lever that heaves the weight from your shoulders, allowing you to rise to dizzying heights. Money is called “currency” for a reason. It flows just like the tides of the ocean. It isn’t made or lost, it’s simply channeled. When you remove the inner dams, prosperity floods your life. Feel the excitement of rapid improvement — physical, spiritual, mental, and financial. Know what it means to be limitless. Gain an unfair advantage in life and love. Obliterate every obstacle that stands in your way. Open new windows of opportunity. Experience a deep sense of accomplishment. Become fearless in the true sense of the word. Squeeze more and more joy out of your life. Spark immense creativity and “capture” life-changing ideas. Accomplish more in next 6 months than the last 6 years. Earlier in this message, I alluded to the “root of true wealth”. I said that millionaires see objects like diamonds and good feelings as merely fruits. But the root of wealth is something different. So, what is that root? The root of true wealth is your behaviors. When you do the right things, you gain prosperity. When you do the wrong things, you lose prosperity. The equation is that simple. Take right action and success is inevitable. Hesitate and your future slips through your fingers like so many grains of sand. Cracking The Millionaire Mind is only program that rewires your brain, so that right action becomes second nature. It’s the first (and probably the last) program of its kind. And it may not be available for much longer. Most exclusive wealth programs cost upwards of $799. And that’s just for instruction… just a simple manual. You get a smattering of disconnected ideas, and you’re left to try to make those ideas your own. People buy those programs — and benefit from them — because they still shave years off the journey. Then how much more valuable is a program like this? You get more than a simple manual and a pat on the head. Cracking The Millionaire Mind is the proven method for internalizing the thoughts, behaviors and actions that will make you wealthy. So how much is Cracking The Millionaire Mind? That’s the best part. 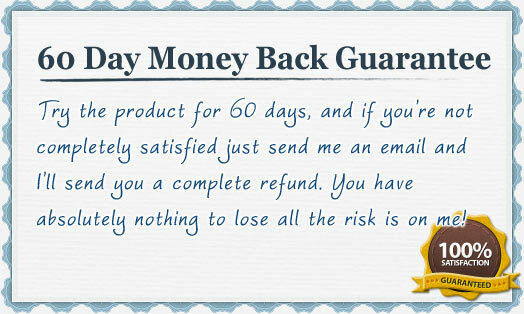 You won’t be investing $799 today. You won’t be investing $499. Or even half of that. Cracking The Millionaire Mind is only $27. That’s it! That’s all you invest to get everything offered on this page. Life is short. How much longer will you wait? How much longer will you settle for less than you deserve? You’ve always wondered what the wealthy know that you don’t. Now you have the chance to find out. This is your opportunity. P.S. Remember: True wealth is a set of behaviors. You have to take right action to get the results you want. Hesitation only leads one place… and it’s not where you want to be. Cracking The Millionaire Mind is available today. I don’t know how long it will be, but I suspect it won’t be long. This is your chance. Will you seize it or let it slip away? In the Feast of Life, the silver platter can never be given, it can only be taken. Are you ready to take your seat at the table? Then secure your copy of Cracking The Millionaire Mind now, by clicking the button below.